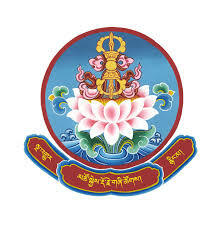 The above picture is known as Soe-nam Khorlo – the wheel of meritorious elephant. It is believed to generate power and wellbeing. It is also known as ‘yangdrup yidzhen drupai soe-nam khorlo’ meaning wealth accomplishment and wish fulfillment wheel of fortune. According to a legend, when King Trisong Detsen of Tibet was not able to rule his kingdom in accordance with dharma, he requested Guru Rinpoche (Guru Padmasambhava) to grant a blessing that would pacify obstacles causing hindrance to his endeavor. Guru Rinpoche then blessed King Trisong Detsen with oral transmission on Soe-nam Khorlo – the wheel of meritorious elephant. It was then hidden as Terma (a spiritual treasure). Later, this terma was discovered and further propagated by terton (terma revealer) namely Ajo Palpo, Dre Sherab Bar and Nyalpa Nyima Sangge. Through the power of wheel of the meritorious elephant, one can accomplish all wishes and multiplies the power of influence, fame, wealth and other positive things in life. It enables one to conquer both self and the others. However, according to some masters, the wheel of meritorious elephant is not meant to be kept in Choesham (alter), meaning it is not something that we take refuge in but to keep it in our places of business/work to generate positive influences. In any case, elephant is a symbol of good luck. Elephant figurines if, kept on shelves are believed to shower wealth, fortune and longevity. In Hinduism, elephant is revered as Ganesha - the god of luck and is revered as an essential jewel that preserves human life. Yangdrup yidzhen drupai soe-nam khorlo when kept as talisman is extremely profound and some people have experienced the significant benefits. Source: The Palace of Good Fortune and good Luck Vases. ISBN 978-99936-827-1-4. Engineer by profession, Jambay Dorji writes on ancient wisdom in modern context for present and future generations. He is the author of Astrologically Auspicious Aspects in Building Construction and The Palace of Good Fortune and Good Luck Vases (KCL Publication, 2014). His writing has appeared in several publications. 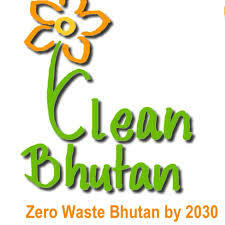 Currently, Jambay Dorji works for Bhutan Power Corporation Limited, Thimphu. 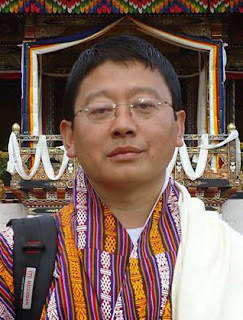 The domain name www.jambaydorji.com (herein referred to as ‘Site’) is owned by Jambay Dorji (herein referred to as ‘Owner’). The site is maintained in good faith and does not make any representation of any kind, express or implied whatsoever. If you find objectionable material at this site, please contact Owner by using contact form. However, contact form or comments is only to post content that is proper and appropriate to such areas and must not post illegal, unlawful, defamatory, obscene, threatening, offensive, harmful, vulgar or otherwise objectionable content. The Owner disclaims all liabilities whatsoever and from whomsoever (howsoever arising) including any third party liabilities. The information and materials appearing on the site (hereinafter referred to as ‘Content’) are displayed for personal, non commercial use only. 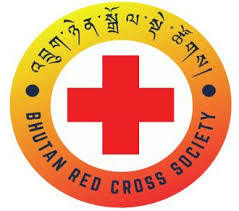 It is the property of the owner and is protected by Bhutan and international copyright laws. None of the Content may be downloaded, copied, reproduced, republished, posted, transmitted, stored, sold or distributed without the prior written permission of the copyright holder/Owner. Modification of any of the Content or use of any of the Content for any purpose other than as set out herein (including without limitation on any other website or computer network) is prohibited. The owner reserves the right at any time to delete, remove or suspend any content at this site without notice and without obligation whatsoever and to whomsoever.